Warren (Joe McDonald) is an employee at the local library. He has an awful boss, and no luck with women at all. To make matters worse, his roommate Brad (Kevin hart) seems to have no trouble securing dates. 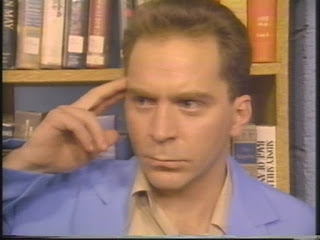 One day at work, Warren stumbles up on a book that purports to increase mental capacity just by reading it. Warren does and soon enough he discovers that he can mentally influence people and things. A new employee, Sandy (Shirley Ross) becomes his obsession after she proves impervious to his new powers. Warren’s co-worker Larry takes note of Warren’s increasingly aggressive behavior, but it may be too late to stop him. The film opens with a disturbing and tantalizing pre-credits sequence, but then settles into being something more akin to a light workplace comedy for much of its run. Warren’s developing mental powers are played for laughs, he helps his friend solve a Rubik’s Cube, he makes his overbearing boss strip down to his matching underwear set in front of everyone at work, and he picks up women. Warren’s lack of dating skills is the whole cause for this mess, and I think its good writing to have the one woman he truly desires immune to his powers, a fact which drives him further and further into madness. There is already a darkness in using mental manipulation to trick people into doing your bidding, even when it’s played lightly. So, to have that aspect turn the comedy into full-blown horror is fitting. "I command you to bring me the last donut out of the box." Mind Killer takes forever to finally get going, but it once it does, it’s extremely entertaining during its all too brief finale. The look of the film borrows heavily from Stuart Gordon’s From Beyond (1986), with a lurid pink and purple color scheme and plenty of slime covered rubber prosthetics. Ther are also distinct Cronenberg style touches with the idea of the mind rebelling against the body. The low-fi video look gives the whole production a cheap and revolting atmosphere that works in its favor. It often feels like you're watching a mediocre sitcom from the 1980s that has something unsettling going on just behind the scenes. Often low budget SOV productions really fall down in the acting and script writing department. This is usually due to those involved having more enthusiasm than experience. 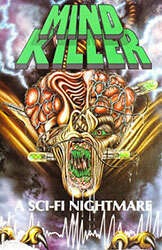 Mind Killer is surprising in that it actually contains some clever dialogue and all around good performances. Warren is a desperate sleaze bag from almost the moment he appears, so I didn’t develop much sympathy for his plight. Joe McDonald does manage to sell both the menace and the pain of Warren’s late stage transformation very well. Christopher Ward’s Larry is played a little too broadly for my tastes, but then again, this a movie featuring a four legged brain monster, so what encapsulates ‘too broadly’ is up for discussion. Mind Killer falls just short of being a hidden gem. Its slow and sagging middle section drags down what could have been a classic low budget slimefest, still there is plenty to recommend here for the patient; good performances, and some fun monster effects.